The opening of his new Indian restaurant on King William Road marks the realisation of a long-held dream for Mumbai-trained chef Prashant Penkar – and he’s serving dishes the likes of which you probably haven’t seen anywhere else in Adelaide. Javitri's Southern Indian Crab Cakes. “I call it progressive, modern, contemporary,” Penkar tells InDaily of the Javitri menu. Penkar opened Javitri just over a week ago in the space previously occupied by Assaggio restaurant at 92 King William Road in Goodwood. Originally from Mumbai, he has been in Adelaide for around three years and says he has spent that time working with a range of different chefs – most recently at dessert bar 50SIXONE – to get a better understanding of the local food culture before launching his own venture. 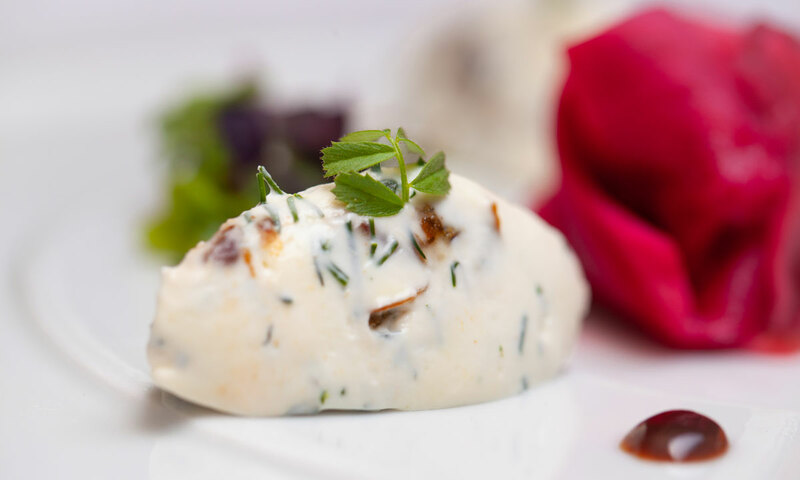 Penkar honed his fine-dining cooking skills in India, where he worked in the Oberoi chain of hotels and resorts, including the fine-dining restaurant Ziya in Mumbai which he describes as “a trendsetting restaurant for the whole country” opened by renowned chef Vineet Bhatia. He furthered his experience with a stint at Bhatia’s Michelin-starred restaurant in London, and also worked with another Michelin-starred chef, Adriano Baldassarre, at Mumbai’s Vetro Italian restaurant. This broad experience is reflected on the menu at Javitri, which sees western ingredients such as goat cheese, truffle oil and granola incorporated in the dishes, and the use of cooking techniques such as sous vide and confit which are not part of traditional Indian cooking. “It’s all multicultural inspiration,” Penkar says. 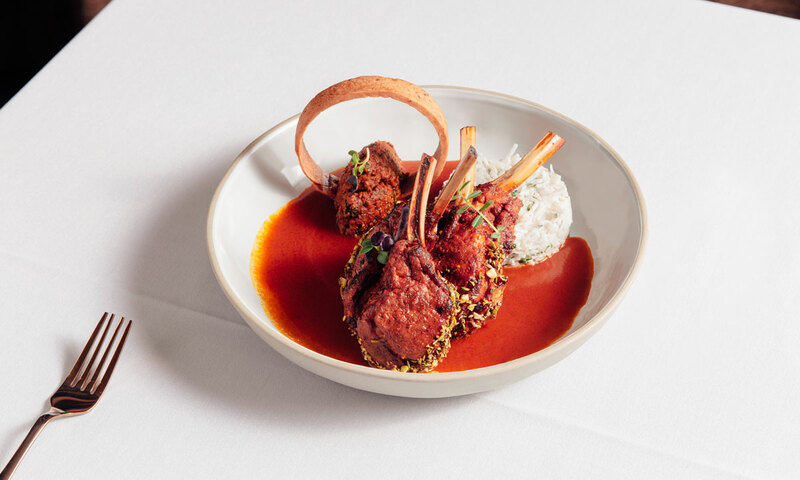 Clove-smoked tandoori lamb chops with a pistachio and fennel crust, creamy coconut mint rice, lamb kheema, roganjosh sauce, and caraway seed short dough. So at Javitri chicken tikka, for example, comes with a trio of flavours: basil and coconut, saffron and chia seeds, and dried tomatoes, cumin and pine nuts. Other dishes include Green Pea, Spinach and Granola Tikki, served with a cranberry-ginger chutney; Cottage Cheese and Green Pea Lasagne (where the pasta is replaced with paneer); Lamb Three Ways (one of which is a dukkah-spiced tandoori lamb chop); Southern Indian Crab Cakes, served with cucumber and puffed lentil chat, mango chutney, beetroot and cumin coulis; Truffle Ghee Nan, and Tomato Pesto and Basil Laccha Paratha (flatbread). Penkar says the Malabar Seafood Stew is his version of a French bisque but made using Indian spices, while the Baked Tamarind and Ginger Oysters are inspired by traditional English Oysters Kilpatrick. The desserts also draw on a range of influences, with one of the most tempting being the Chocolate Tsunami, which has five different components including a dark chocolate, fennel and orange brownie; a milk chocolate, coconut and poppy seeds cigar, and white chocolate pan kulfi (frozen dessert). Another kulfi dessert incorporates chocolate and rosemary, candied rose petals and green cardamom, Toblerone and Bailey’s cream. Dessert done differently at Javitri. Penkar is confident South Australians will embrace his version of contemporary, refined Indian dining, saying he loves Adelaide and believes it is an excellent place to open a restaurant. “It’s growing so fast … people are accepting modern food with good chefs, and I want to be a part of that.